Superdry men’s 34th Street t-shirt. This crew neck, short sleeve t-shirt is a great layering option to have in your wardrobe this season. 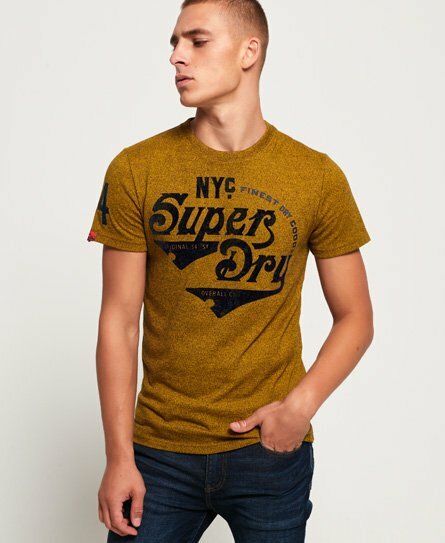 Featuring a textured Superdry logo across the chest, a number graphic on the sleeve and a logo badge above the hem. This t-shirt is finished with a Superdry logo tab on the sleeve. Pair this t-shirt with jeans or joggers for a laid back look.